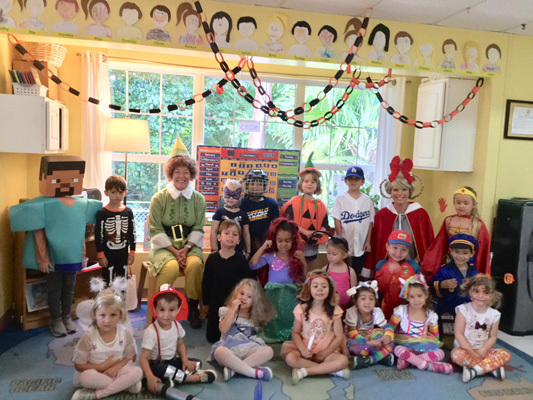 After a well deserved mid-term break, the children came back ready to wrap up the month of October with much excitement and anticipation for our well-loved Annual Costume / Pyjama Party. We spent the morning admiring each other’s attire and doing fun Halloween art. We decorated our treat bags which were filled with lovely treats from our friends. Ms. Nicky and Ms. Krista got dressed up in the spirit of our forthcoming holiday, Christmas! We then began November with our first in-depth look at our continent of focus: Africa. We enjoyed learning all of the interesting facts about the second biggest continent. Did you know that not only is Africa the second most populous continent in the world, with over one billion people, but it is also home to the highest linguistic diversity in the world, with over 1500 different languages? We also learned all about bugs, focusing on the characteristics of insects and their life cycles. We were amazed how many different kinds of weird and wonderful bugs there are on our planet!